#2 Graphite Lead Color Changing Custom Mood Pencil. Wood Pen & Pencil Set. Pencil Top Stock Eraser- Recycle Symbol. 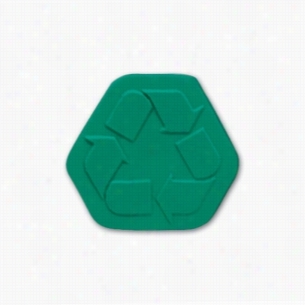 Pencil top erasers that have recycling emblems on them are a fun way to boost awareness for environmental programs. There are many ways that companies try to get their name out for customers to see; there are also many ways that companies try to help the environment in their local communities. One way that companies can use that will bring awareness to environmental issues is by giving away items that have a recycling emblem on them. Pencil top erasers that sit on pencils or that can be placed on one's desk are great ways to promote recycling programs. Businesses who give away Products with the recycling emblem are seen as environmentally friendly companies. Combining these erasers with pencils, informational packets, recycling center policies, or recycling containers are great ways to encourage the public to recycle. It creates a positive energy about one's company; it allows customers to participate in helping the environment by joining forces with businesses that help the environment too. Promotional products like pencil top erasers are great ways to encourage customers to do the right thing, and when you add your logo, they serve as a billboard for your brand. When customers recycle, they will remember the company who encouraged them as doing the right thing as well, promoting the company in a positive public light. Production Schedule Varies, please contact us. 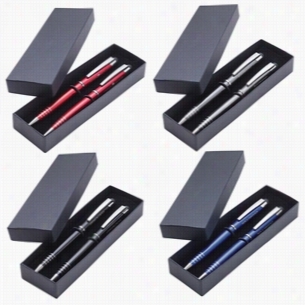 Twist-action aluminum ballpoint pen and mechanical pencil set features an anodized finish, etched grip rings and capacitive stylus' that works with touch screen devices. Presented in a two piece Gift box. Finish / Material: Aluminum. Black Ink / 0.7mm Pencil Lead. Varsity Pencil Pouch School Kit. Pencil pouch with slide-lock closure makes a great education item. Translucent front with a colorful back. Pre-punched holes for easy insertion in notebooks. Includes imprinted wolverine stylus penl, cord organizer, mobile Wallet, carabiner, non-imprinted IBOOM ear buds. 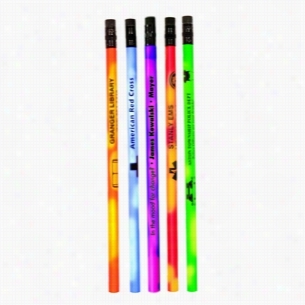 #2 Lead Bargain Buy Pencil. Pencils that have the company name printed on them are classic marketing pieces that customers have come to expect. 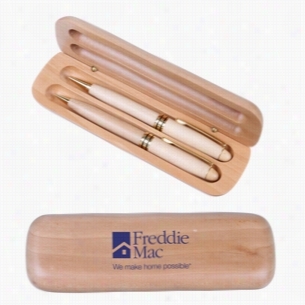 Promotional pencils are often used to market and advertise businesses and brands. Hand them out to put the company name in the public eye. Pencils can be labeled with any number of colors and fonts to create a long-lasting and memorable statement. The bargain buy pencil is a more affordable option, but it retains the high-quality standards of a no. 2 pencil from your local retail store. Handing out pencils allows customers to carry the company name with them throughout their day. 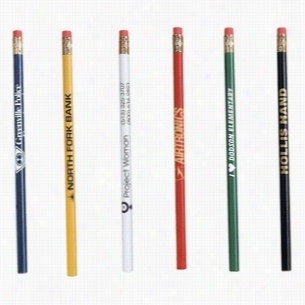 Some of these pencils get left behind, others are traded off, and still more are carried along for a long ride to end up in unexpected places. Expose the company name to new people throughout the pencil's lifetime, people who eventually go from being intrigued to being regular customers. It is this exposure that is important. Investing a small amount of money into customized pencils to spread the company name for pennies on the dollar. Pencil Top Stock Eraser- Mini Police Collection. These high-quality erasers come in a wide variety of colors and several different designs, and with a relatively low price, these erasers provide exceptional value. 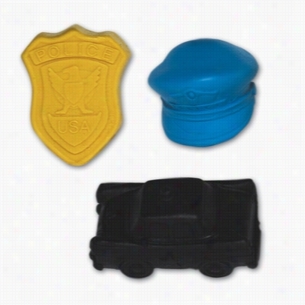 The erasers come in several different designs including a blue police hat, a yellow police badge or a black police car. These erasers are specifically designed to last a long time, and many people have reported that the erasers continued to work after being used frequently during a school year by students. Usually, a traditional pencil was sharpened until it could no longer be used before the eraser wore out. Customers have given several reviews that describe these erasers, and in all of the reviews, the customers claim that they are very satisfied with the product. These erasers can be given away to potential customers as marketing Tools when a business gives out mechanical pencils or traditional pencils. There are many benefits to purchasing these pencil erasers. Some of these include the different designs that are available, the high level of durability, the superb reviews, and the ability to give them away for marketing purposes. Production Schedule Varies, please contact us. Elegant Wood Pen and Pencil Sets. 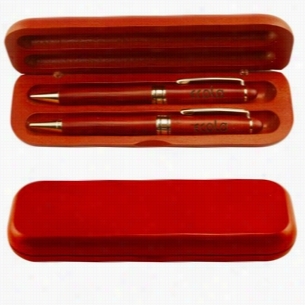 These elegant writing instruments are handcrafted from high quality, select woods and is available in solid Rosewood. Set includes a twist-style ballpoint pen with black Ink cartridge and a .7mm mechanical pencil. 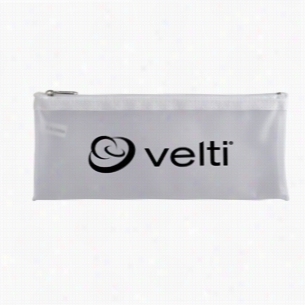 This PVC pencil Pouch stores multiple pencils, pens, erasers and other school supplies. It is ideal for schools, tutoring programs, conferences and educational events. CPSIA compliant. Slide Lock School Pencil Pouch. 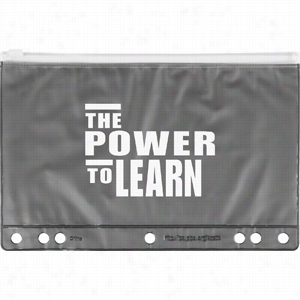 Pencil Pouch with slide-lock closure makes a great education item. Translucent front with a colorful back. Pre-punched holes for easy insertion in notebooks.